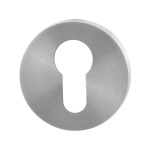 Your traditional keyhole lock gets a neat finish with this escutcheon. 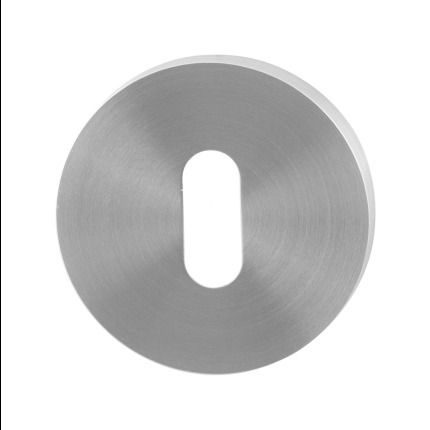 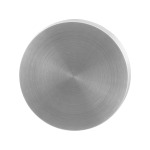 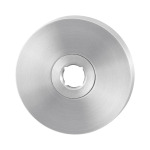 The round rose in brushed stainless steel has a size of 50x8 mm. 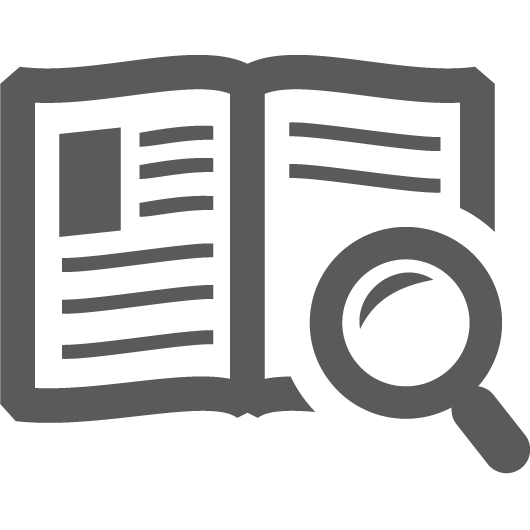 The mounting of the rose is hidden behind its cover.